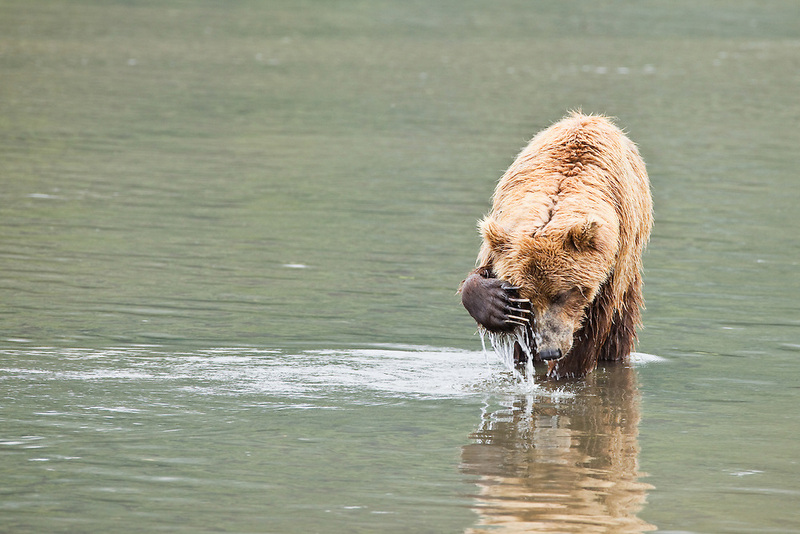 Brown bear (Ursus arctos) wiping eyes with paw in Horn Creek looking for fish on Glacier Spit in Chinitna Bay area of Lake Clark National Park in Southcentral Alaska. Summer. Morning.